I often think of August as vacation month. The traffic on the roads slows down, friends and family spend time at the beach, and school-age children relish the end of their free days. In the garden, August is a flurry of activity. 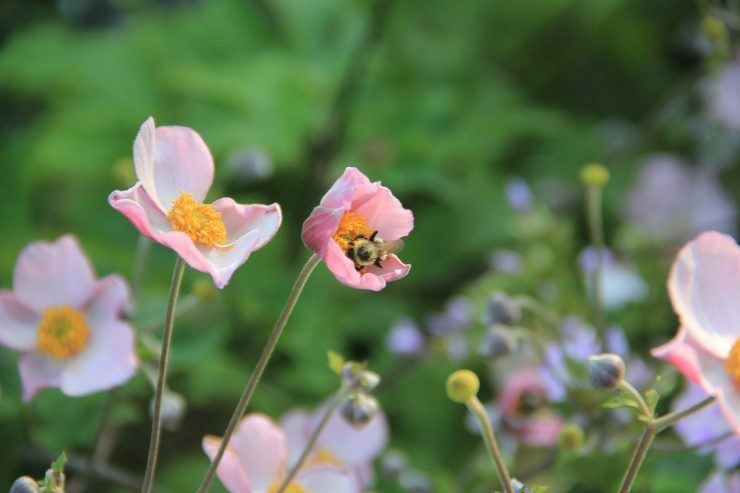 At first glance one may not notice everything that is going on, but further inspection reveals that bees, birds, and butterflies are making the most of the flowers in bloom. 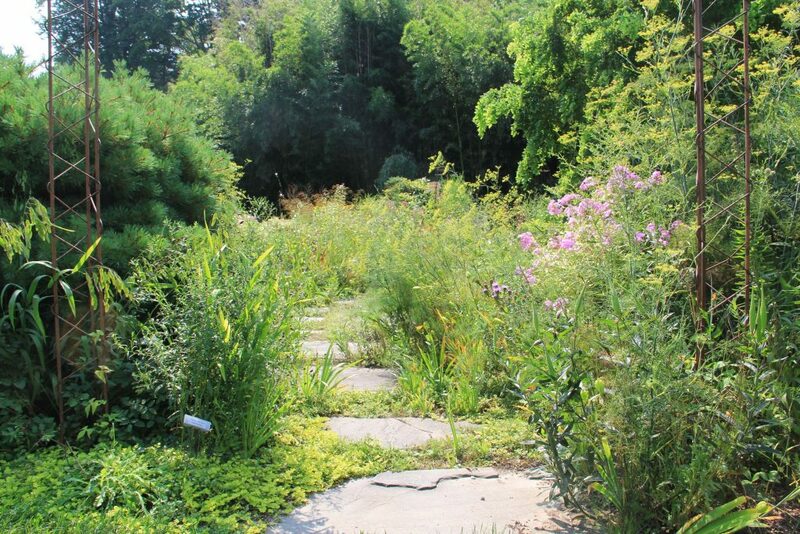 Take, for instance, our Garden of Hope (seen above) in the Idea Gardens area. When I casually stroll by I barely notice all the action, but taking a closer look reveals so much more. 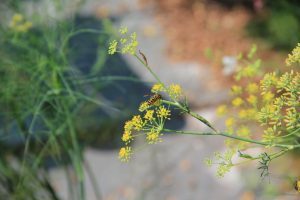 The fennel growing in this garden is a tasty treat for a variety of pollinators. 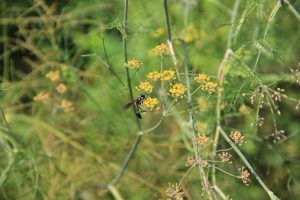 Some of the more scary-looking insects adore fennel. I am so fascinated that even the most feared pollinators want nothing to do with me. As a child I ran at the slightest buzzing sound, but now I can stand inches from a yellow jacket to get a picture. The key is in knowing that as long as we aren’t bothering these insects (or getting too close to their nests) they will pretty much leave us alone. Any fly by buzzing they do is most likely to make sure we are not a threat. 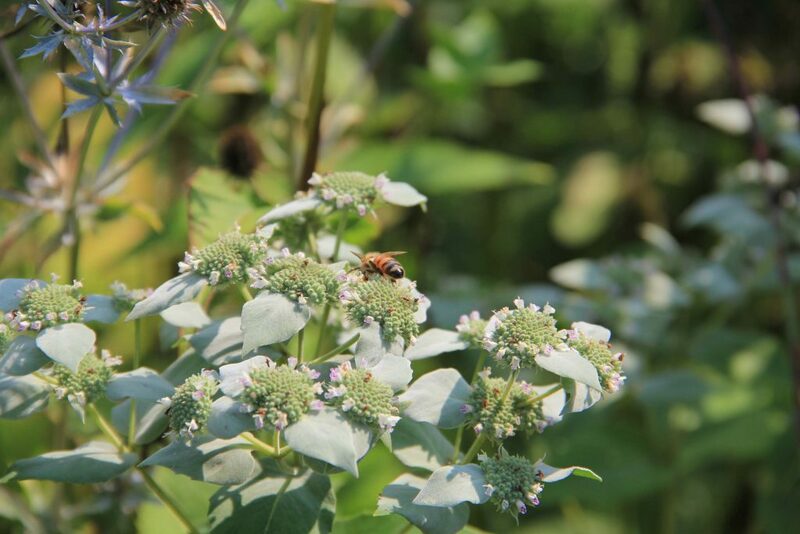 The mountain mint is always a popular choice with our pollinators. I have seen at least a dozen different pollinators enjoying these plants peacefully together. 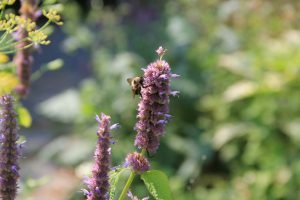 Anise hyssop and calamint are constantly abuzz with bumble bees and honey bees. These tough plants are wonderful sources of food for our flying friends. 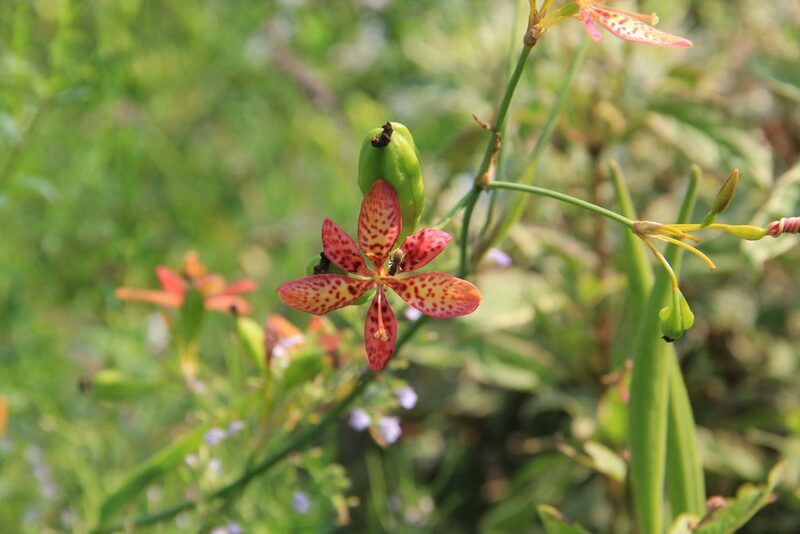 Blackberry lily (Iris domestica) with pollinator. The tiny pollinator above moved too quickly for me to get a clean shot of him, but he was clearly enjoying our blackberry lilies (Iris domestica). Further down the property I caught a couple of monarch butterflies sipping on our zinnias. 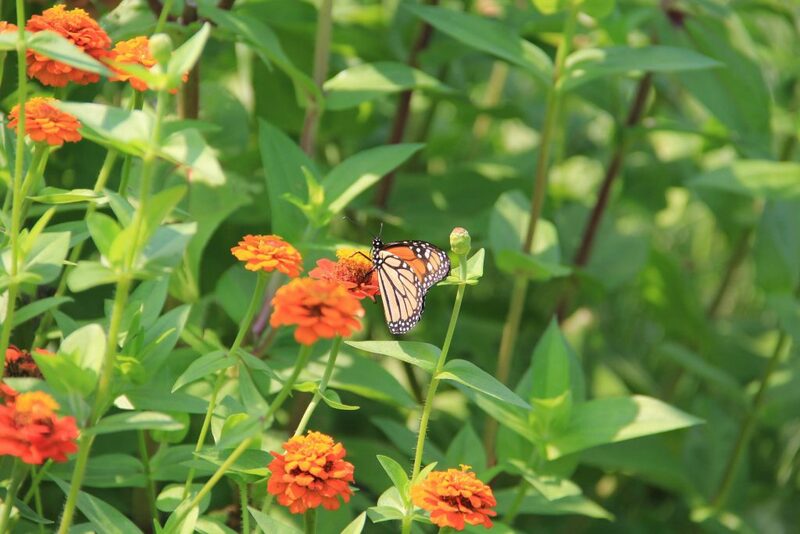 Here is one of the monarchs being very color coordinated with Zinnia ‘Sunbow Orange’. I hope that as you walk through the gardens here that you will find time to take a closer look. The gardens are looking lovely this time of year, but beauty is not their only offering. They are an important source of food and also a safe habitat for wildlife. Working with plants is a great education. As I mentioned in the previous two blog posts, we choose plants for color, height, and longevity. 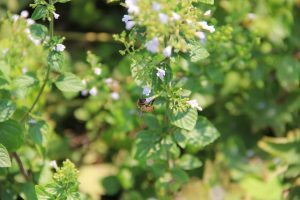 The pollinators choose plants for their delicious source of nectar. It is a win-win for everyone. See you soon in the gardens!